Does this carving at the Ta Prohm temple complex in Cambodia prove that dinosaurs of the genus Stegosaurus were still alive in Southeast Asian jungles only 1000 years ago? Carving at Ta Prohm temple, near the more famous Angkor Wat, Cambodia. Image from Neurologica Blog. Some young-Earth creationists think so. An example of a web page dedicated to this is found at Bible.ca: Dinosaurs in ancient Cambodian temple — Amazing evidence that dinosaurs and humans coexisted. Other carvings in this temple are of local animals such as deer, monkeys, and birds, and so this carving must prove that Stegosaurus was wandering around the jungles of Southeast Asia as well. I’ve been wanting to write about this one for some time, and was prompted into action when I saw this discussed on a paleontology blog this morning (Dinosaur Tracking: Stegosaurus, Rhinoceros, or Hoax?). The head is completely wrong for Stegosaurus. Stegosaurus had a tiny head; the carvings in Cambodia show a creature with a proportionately larger head. The tail is wrong for Stegosaurus. Where are the spikes? The legs are wrong for Stegosaurus. In the carving, the front and hind legs are of equal length; in a real Stegosaurus the hind legs are considerably longer than the front legs. The body is wrong for Stegosaurus. Back in the late 1800s and early 1900s, Stegosaurus, and many other dinosaurs, were depicted with arched backs. Based on further study, we now know that most dinosaurs had less curvature in their backs. Look at the picture above for a modern interpretation, and at the picture below for the 100-year old interpretation. From Wikipedia: Stegosaurus. Drawing from O.C. Marsh, 1896. The back plates in the carving are only superficially similar to the plates found on fossil Stegosaurus, which actually had two parallel rows of plates. If Stegosaurus lived in Cambodia only 1000 years ago when the Angkor Wat/Ta Prohm temples were built, why are there no Stegosaurus bones found in Asia, whether in archeological sites or in the fossil record? There are plausible alternatives. Some have suggested a rhinoceros or boar in front of a vegetated background. I think a much better alternative is a chameleon. The head and eyes are right, the overall body shape isn’t bad, and chameleons have a serrated ridge along their back (though not as pronounced as on the carving). The tail isn’t quite right, but it isn’t right for being a Stegosaurus either. Given two possibilities—Stegosaurus or chameleon—I think we should go for the chameleon in this case. Another alternative is that this represents a mythical Hindu creature, such as a makara. Stegosaurus fossils are only found in rocks of the Late Jurassic period, with no examples from the Cretaceous or Cenozoic. Did they hide for 145 million years, only to show up in the jungles of Cambodia? Another possibility is that this carving is a fraud, having been carved in the past century. This could be, but I have assumed in this post that the carving is genuine. In conclusion, to use the Ta Prohm carving as evidence that humans and dinosaurs lived together only a short time ago is bad apologetics. This is one more thing to make us look silly in the eyes of nonbelievers. Don’t feed this to your kids, and don’t use it to try to convince anyone of the truthfulness of Scriptures. As a Christian, I believe that the Bible is true and that it says exactly what God wants it to say. We don’t have to resort to pseudoarcheology to defend it. It’s interesting that you mentioned it but as soon as I saw this picture I had the immediate impression of a “rhinoceros in front of a vegetated background”, no questions asked! The plates do not seem to make deliberate contact with the animal, and so the likelyness of them being stegasauruse’s plates is nil. Our take. It may or may not be a stegosaur. But suppose it had been seen, but rarely? There are many elephant or other representations in ancient art that weren’t perfect in every detail. Is not one possibility that it is an inaccurate depiction of a stegosaur rarley seen or perhaps described? Thanks for your comment. There are no Stegosaurus fossils in Asia (and only one specimen in the entire Eastern Hemisphere). Likewise, there are no dinosaur bones found in archeological sites anywhere in the world. I don’t think humans saw dinosaurs of any kind, not even rarely. Even if it IS a dinosaur, it’s not a stegosaur because the spinal plates of KNOWN stegosaurs are distinctly leaf-shaped, something which the artist, (and here I speak as an artist), would’ve picked up. Because if you look carefully, you may agree with me the psuedo ‘stegosaur’ has one of its distinctly un-chamelonic limbs stomped on the head of an unknown type of ‘snake’ (with a lizard-like snout and chameleon-shaped eyes). In which case you may also agree with me the supposed ‘plates’ running the length of this ‘snake”s spiralling form are actually examples of partially curling foliage, (whereas the stegosaur’s ‘plates’ are closer to tombstones in shape). In spite of the ‘foliage’, though, the artist clearly intends the ‘snake’ to be perceived as flesh and blood, (as opposed to vegetable), because s/he has the bearlike creature biting into its ‘trunk’, rather than nibbling on its leaves. Thanks for your artistic insights. Or perhaps it is a Tyrannosaurus rex. Note how it is standing on its hind legs. In a young earth scenario, the absence of fossils (in layers being laid down by the flood)is not incongruent with the idea that stegosaurs were present for a few thousand years after the flood. The absence of post-flood stego fossils in Cambodia is consistent with a young earth scenario, in that it is believed animals migrated across the earth from the ark’s resting place. The critiques presented here seem to center soley on the artist’s handiwork skills and heavily influenced by evolutionary assumptions – taking man’s opinions as a starting point instead of God’s Word. I might take this article more seriously if the author had displayed some of the other artwork of known animals for comparison. If one ignores the idea of millions of years and takes the art work at face value, a stegosaur is a very reasonable interpretation of the artist’s intent. God wrote the ten commandments with his own fingers and very clearly stated “in six days I made the earth” and then commanded us to take the seventh day to rest. The only reason Christians don’t take this at face value is because they listen to how athiestic men interpret their physical world without God. 1. The geologic column (Cambrian, Ordovician, Silurian…) is an observation of the creation that was established in the late 1700s to early 1800s. It is not an invention of atheists. 2. Stegosaurus fossils occur in a very specific part of the geologic column—the Late Jurassic—and nowhere else in the column. They simply are not found in the upper layers. Zero. None whatsoever. This is an observation that would be the same whether the observer were an atheist, Christian, or Hindu. 3. Stegosaurus bones are not found in archeological sites. If they had existed in southeast Asia just a thousand years ago, we should have some bones. Nor are they found in the fossil record anywhere in Asia. Fossils are found almost exclusively in the western hemisphere. This is not a Bible vs. atheism issue. You can go to the Bible.ca link if you want to see additional pictures of the Ta Prohm carvings. I have been to Ta Phrom and seen this carving. First it is only 1 of millions of carvings in the Angkor area. And it is the only carving of a Dinosaur (supossed). Directly above this carving is what appears to be a giant Austarlian Wombat relative – now extinct (Diprotodon optatum). Below is perhaps a horses head and below that is a half chicken/half man/half goat with a judges wig and holding onto the tongue of a five headed Naga(that only has one head) and the whole relief is surrounded by fire. The temple is a hindu temple and this is very evident in all the calvings – untill Cambodia changed to budism and then the temples were given the addition of budha statues or abandoned and new temples built. A lot of the artisans came from india and this would then lend argument that the Stegassurus must have been in india during the time of man. Personaly I believe that if there were dinosaurs getting around while man was, they would be plastered up on the walls of temples everywhere. Just their impossing size and possible threat (to life and food crops) would have had them feared or reviered. A large propotion of the relief carvings are or battles and wars (imagine rding into war on the back of a dinosaur, the enemy would surely flee for there lives and this would be recorded in stone as a great victory to be remembered for all time. OH And there is only one small carving 15cm high on one of 100 temples of Angkor covered in millions or carvings. The temple is around 500-800 years old which puts it after the birth of christ and the start of the bible, yet there is no mention of dinosaurs in the older christian texts (that I am aware of). Me thinks that while the young Creationists/Inteligent designers that are trying to use this as an agender booster should back up a few steps take a deep breath and clear there minds of everything and then start looking at the picture for what it is. My opinion – A bunch of mythyical creature from a dream or story(men have had imaginations since the start of time). But that just my thoughts on the matter. Thanks for your comment. One thing I would disagree with you on is lumping ID with the young-Earthers. There is a huge difference between the two. The ID folks don’t go for goofy stuff like this. I was searching for dinosaur pictures and came across this. My two cents here. I think that there is also the possibility that the carving could be exactly what it seems like – a stegosaurus! However, I do not think that stegosaurus and men walked together on earth. I don’t doubt for a moment the genuineness of these carvings. I am more inclined to believe that the sculptures in the various Hindu temples could have been the imagination of the sculptor himself or the temple-designer. Their imaginations ran wild… and eventually proved to be true. Did you know that in a Hindu temple of 10th century AD, there are carvings of rockets and missiles similar to those that are being designed today and launched into space? Thanks for your comment and insights. I liked what you said about the wild imagination of the sculptors. One argument I cannot accept is the idea that people in the past dug up a fossil of Stegosaurus and reconstructed it. — First, reconstruction is a difficult task, especially given that most dinosaur fossils are incomplete, and that accurate reconstruction demands a good knowledge of anatomy. — Second, Stegosaurus is an almost exclusively Western Hemisphere critter, and no fossils of this creature have been found in Asia. 1) True, stegosaurus bones are found in the western hemisphere. Also true, once upon a time there was a super continent- Gondwanaland. Gondwanaland puts Antarctica, Asia and the Americas right next to each other. Evidence, there are geological similarities between the Andes of South America and the Antarctic Peninsula (the shape of the two locations also fit like jig saw pieces- coincidence?). If dinosaurs roamed the western countries they must have also roamed the Eastern countries- once upon a time. 2) True, stegosaurus bones were not found in south east Asia. Why? No ones looking. Fact, no dinosaur bones were found in Cambodia. Why? Cambodia is infested with landmines, if you were the governing body of this country would you: a) put funds into digging up silly dinosaur bones which benefits the country in almost no way, or b) put funds into digging up and removing land mines??? Note, Cambodia is a poor country, choosing where money spent is vital, landmine sites are left untouched as there is little funding available. if there isn’t even enough money to locate and remove landmines why would they spend money on digging up bones of the past. 3) The missing remains of something from the past does not conclude that it did not exist. The remains of Noah’s Ark is yet to be discovered, by your logic, the Ark never existed (at least not in the “western hemisphere”). Interesting, why are kangaroos only found in Australia? if Noah gathered a pair of every kind of animal, wouldn’t one single location on earth contain every single species known to man? Noah’s ark landed on the mountains of Arat, how does a kangaroo migrate to Australia? Note, they don’t swim! 4) True, reconstruction is a difficult task, and accurate reconstruction demands a good knowledge of anatomy. Also true, construction of a temple (Angkor Wot is the most complex temple in the world, one of the seven wonders) using simple tools (simple compared to tools used today) and no lifting machinery is a difficult task. Large structure construction of any kind demands an extensive knowledge of architecture, engineering (the temples lasted 700 years- much longer than what modern skyscrapers are designed to last), geology etc. Interesting, Phnom Penh is the first city to include a drainage system (google that). Conclusion, the ancient Cambodians were smart, its possible they could have pieced together a stegosaurus skeleton. 5) Fact, “IF” any stegosaurus bones were dug up in the past by the ancient Cambodians, they would have been destroyed by the Khmer Rouge. Pol Pots goal, to destroy old Cambodia and create a new country. Anyone and anything that was an indication of wisdom ie the reconstruction of a dinosaur skeleton, was destroyed. 6) Its not a stegosaurus, its a wild pig. Note the long ears, snub nose, short legs. What appears to be spikes running down its back are in fact a background which loosely indicates where these pigs are commonly found. 7) Everything can be argued. It takes a smart dude to come up with valid arguments, but it takes a man to accept another mans ideas and beliefs. Don’t be so quick to put down other peoples ideas and opinions. Learn from your fellow man instead of imposing your methods. There are many dinosaur finds in southeastern Asia. They have not had the same level of searching as some areas, but there have been plenty of dinosaur fossils found in southern China, Burma, Vietnam, Thailand, and Malaysia. I just did a quick Google search and found plenty of mentions. I did find a couple from Cambodia too, but not many. If there were Stegosaurus fossils in Southeastern Asia, then there is a VERY good chance they would have been found by now. It’s impossible to PROVE there aren’t any, but the level of confidence is darned near 100%. I think the objects above the animal’s back aren’t back plates like stegosaurus had — they’re just artistic flourishes. Note how they’re not connected to the animal’s back – they’re surrounded on all sides by a dip or lower area of relief. The other photo taken at the Ta Prohm temple complex that Kevin included has objects inside the circular area with similar relief, but there are fewer of them. Besides, the carving in question doesn’t show the critical “Thagomizer” on the tail that stegosaurus had – a name which originated from the famous Gary Larson “Far Side” comic (http://en.wikipedia.org/wiki/Thagomizer). O.k. – Kevin already mentioned the tail in his original post – I missed that! Thank you for posting this, I’m a teenage Christian planning to enter some field of science after high school (undecided), and i’m sick of looking like an idiot at the hands of moronic “Christians” that have no experience in study. but now that I’m finished ranting thanks for posting your views on this subject, I really love it and plan on reading anything and everything else you write. Re Webmonk’s mention of Pangaea, Dr Ron Blakey of Northern Arizona University has some excellent maps that show how the Earth looked in the geological epochs of the last 550 million years or so (since early Cambrian). These paloegeographic maps aren’t just based on conjecture – they’re based on years of investigation by hundreds of geologists and paleontologists. Thanks for visiting The GeoChristian, and I am pleased that you desire to do further studies in the sciences. I would suggest that labeling those with whom you differ as “moronic” or “idiots” probably exceeds Biblical standards (e.g. 1 Pet 3:15, Matt 5:22). As much as I disagree with some Christians regarding origins, for instance, I always need to remember that they are my brothers and sisters in Christ. I am called to love them, and to gently deal with them when I think they are wrong. I probably don’t always live up to that standard, but it is what I aim for. Declaring yourself a “Christian” and using that declaration to justify any interpretation of any artifact on this earth is just bizarre, and, frankly offensive. One would hope that the logic of science and the evidence of the senses would be predominant in a scientific project. Your declaration is toxic and casts suspicions on your credibility that are an enormous obstacle, ruining anything you might have to say. But thanks for the photos, at least it was not a complete waste of time and bandwidth. A chameleon? When people carve stuff in temples, it usually represent powerful or important stuff – either of important people or animals like lions, etc. A chameleon? The first thought is a Stegosaurus, and that’s what it likely was. C’mon man, let’s not be educated idiots, shall we? You’re right that the carvings represent important stuff, but “important” doesn’t come even close to equating to “powerful”. Ducks, insects, lizards, finches, parakeets, cats, mice, lemmings, deer, monkeys, etc, are all perfectly common things to find in temple carvings. One of the things the people who support the stegosaurus don’t show is that immediately below the “stegosaurus” carving is a carving of a horse that looks just like it has stegosaurus spikes going along its neck. Obviously, it is supposed to be the horse’s mane, but in the stylized caring it looks just like the stegosaurus spikes. Heck, I even found one of the swan pictures from that temple that has what look like stegosaurus spikes coming out of its neck (it is the background), and if you look at the style of decoration around a lot of the Hindu gods, you can see that the “stegosaurus spikes” aesthetically fit very nicely with the rest of the temple decorations. Combine all that with the fact that Stegosaurus never lived anywhere near Cambodia, and the possibility of the carving in Cambodia being a stegosaurus reaches zero even with a YEC timeline of history. If you’re going to make superficial criticisms about it being a stegosaurus (eg. back too arched, legs too similar in length, single row of plates as opposed to double), I could make just as superficial criticisms about it being a chameleon… eg, legs too fat (chameleons have very skinny legs compared to their body), body too short & fat (not long enough), and the ‘ear’ area is far too huge compared to the ears on a chameleon. Realistically, such superficial criticisms – whether for the argument of stegosaurus or chameleon – are weak. Whatever it is, it’s clearly a stylised image, done with rudimentary tools. It’s not going to be anatomically perfect. It would have been tricky to carve a double-row of back plates in such a confined space. The cave paintings of many of the world’s indigenous groups are hardly perfectly accurate either, yet we don’t say “oh that can’t possibly be a horse, look its body is too skinny”. Also, trying to draw a parallel between the ‘stegosaurus’ back plates and the decorative border on the water buffalo is really grasping at straws… they are clearly a different shape, plus on the water buffalo image they are *outside* the main image – on the ‘stegosaurus’ they are inside and obviously a part of the image itself, even if not stegosaurus plates. While I am not completely convinced this is a stegosaurus as we know it, I’m sure not convinced it’s any animal that’s alive today. I think it is perhaps a relative of the stegosaurus we are familiar with. Also, Alanborky uses only the artistic guidelines and visual tools he was trained in within his culture. Without an education specifically on the people who built Angkor Wat and their culture, I don’t think he can speak with any authority on the visual tools used by the creator of this image. Really, for all we know this ‘snake’ is just a decorative border like you suggest the ‘stegosaurus plates’ are. (I think it is just a decorative border, as it appears around a lot of other carvings too). Just a note- stegosaur-like fossils HAVE been found in the eastern hemisphere. Check out, for example, Chialingosaurus, Huayangosaurus, Chungkingosaurus, Gigantospinosaurus… there are even more than that. Actually, what’s really interesting is Gigantospinosaurus, which looks like a stegosaurus but has a huge spike coming from its side- it made me think of what I’m guessing others interpret as the ears of the carving. I think this could be some kind of Stegosaurus-like creature. I’ve heard arguments for it being a boar or a rhino, and honestly it isn’t a bang-on representation of those animals either. Nobody really argues with those people because their ideas are in line with mainstream thinking, whereas that of YECs is not. For example, you sarcastically ask if the Cambodian Stegosaurs were just hiding for tens of millions of years, yet there have been hundreds of species rediscovered recently that appear to have done just that. My favourite examples are the Coelocanth (rediscovered in the 1930s, supposedly extinct for 65 million years) and Wollemi Pine (rediscovered just a few years ago, with its oldest known fossil being 90 million years old). Google “living fossil” and you’ll find even more examples. What makes dinosaurs any less likely to have existed recently than these species? We only think it’s unlikely cos we’ve had it drilled into us that they completely died out long ago. Another possible explanation is that Stegosaurous did not live in Cambodia a thousand years ago – but he did maybe two or three thousand years ago. This is why the drawing is not an accurate representation of the beast, but does have its distinct characteristics (the giant armored plates along its back and tail). It’s likely the artist did not see it first hand but knew of its existence from the lore of his ancestors who did see it. Drawings of dragons and other mythical creatures around the world (which consistently resemble the fossils of real dinosaurs) are the result of word-of-mouth legend of real creatures that our ancestors did live with shorty after Noah’s flood. Recall that dinosaur fossils weren’t discovered until the 1800’s, yet people centuries ago drew them rather accurately – this to me clearly shows that people, at one point in time, did see them. Okay why is it none of these people every take into account 65 million years of evolution. Yes its true the stegosaurus look that way, small head, spikes, arch, etc… Now catch up with the rest of us and realize that if the stegosaurus didn’t die out, and it descendents lived today they would almost definitely not look like they did 65 million years ago. Besides who is to say it is not a descendent of some stegosaurus sub specie and not the stegosaurus itself. Thank you. Think about it! Matt, I think you might be confused – the YEC claim is that the stegosaurus did NOT live 65 million years ago, but rather that they were created only 6,000 years ago, and so these carvings would be relatively accurate to what we know stegosauri looked like from their skeletons. Sure, if the stegosauri did live 65 million years ago, then any descendants today would very likely look quite different, but your idea of 65 million years is not what the YEC position holds. Pingback: Relatively Interesting The Cambodian Stegosaurus: Proof That Humans And Dinosaurs Coexisted? The most superficial blog about ankor wat stegeosaurus ive eve read. Chameleon vs stegeo compareing was the last drop for me. Outrageous! r1im, I can’t say I’m surprised you think so if you read it as carefully as typed your comment. Prehistoricwildlife.com gives details of several Steggasaur fossils found in China, so Cambodia does not seem so impossible, especially in light of so many dinosaur bones found more recently with SOFT TISSUE. Maybe this is a forgery, maybe not, (it does appear similar to the boar which is thought to be authentic), but if the soft tissue in dinosaur bones is genuine, this becomes minor. John Virgilio – dinosaurs were not found with soft tissue. The tissue became soft after it was treated with chemicals. 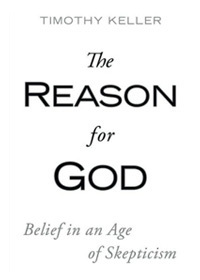 “As a Christian, I believe that the Bible is true and that it says exactly what God wants it to say” and “as an old age of the earth (millions of years?) 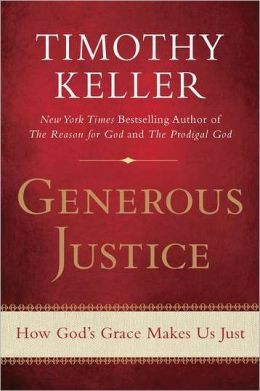 believer”, how do you reconcile Gen 1, with a morning and an evening, one day”? Or, Jesus made a mistake in Mark 10:6? 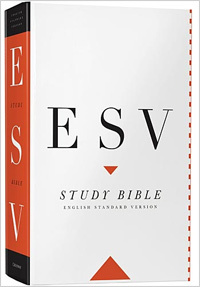 Is Exodus 20:11 wrong? Death didn’t come through Adam, then, so, Rom 5:12 is wrong too. The main point of this article is that the creature in the Cambodian temple is almost certainly not a Stegosaurus. The head is wrong, the tail is wrong, the back is wrong, and the legs are wrong, so it isn’t a Stegosaurus. The leaf motif decorates all sorts of other things in the temple art, so it is a mere coincidence that it decorates the back of this creature, whatever it is. –A complete, literal 24-hour Hebrew day is from sunset to sunset, not “evening and morning.” It could be that “evening and morning” mark a break in God’s creative activity, not a day as we understand it. 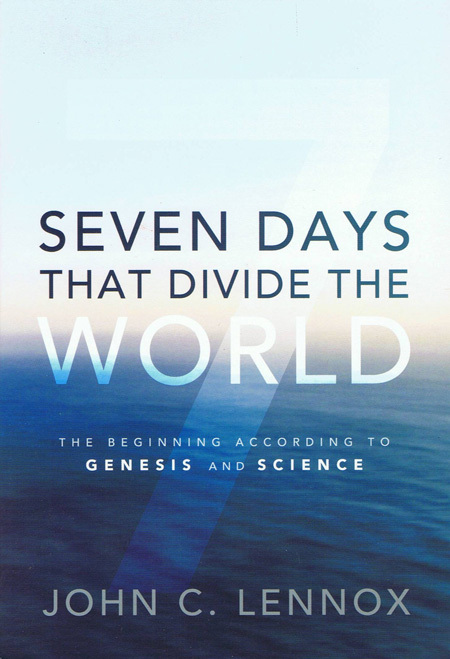 –Commentaries from 2000 years ago, Jewish and Christian, noted that days 1-3 were not necessarily days as we think of them, as the sun doesn’t make its appearance in the text until day 4. 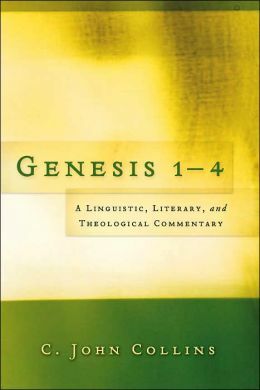 –The genre of Genesis 1 is not poetry like in Psalms or Proverbs, but neither is it like any other “historical narrative” in Hebrew literature. YECs tend to miss this. If the genre is not “historical narrative,” then what is it, and how does this affect our interpretation of Genesis 1? –YECs seem to be more concerned about the literalness of “day” in Genesis 1 than Moses himself was. After all, it is Moses himself who authored Psalm 90:4, which states that God’s time is not necessarily the same as our time. –There are other non-literal statements in Genesis 1. Is God’s speech the same as human speech? 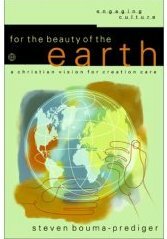 Is God’s work the same as our work? Is God’s rest the same as our rest? The answers are No, No, and No. So do we have to conclude that God’s days are the same as our days? Again, the answer is no. In regards to Jesus’ statement in Mark 10:6, the subject was marriage, and he was referring back to the creation of humanity and marriage. And Adam and Eve (and marriage) were not created at the beginning of creation, but at the end of the creation week of Genesis 1. I think YECs are reading something into Jesus’ statement that isn’t there. The Bible does not teach that animal death came into the world through Adam’s sin. Go back and re-read Gen 3, Rom 5, Rom 8, and 1 Cor 15 (the relevant passages) and you will find no mention of animal death. funny, so you rule out whateverbased on your opinion? every sibgle person i have showed this to has said its looks like a stega! seriously?! you shouldnt go ruling it out bud, is it not possible they may have not had the time to look at it in detail? or possibly ran from it? bet if you seen one you would run, i doubt theyre as placid as jurrasic world makes out! lol funny as, if it was a lizard they would have captured it and carved it properly. the other animal carvings wernt that flash either! how could you be so arrogant? has the bible taught you nothing? seriously. and to say the plates look like leaves is an extreme cop out. people say whatever because they dont actually want to believe in God, not because of lack of evidence. there is absolutely no evidence whatsoever for evolution, and human history is exactly in line with the bible. look at what we have done in 2000 years, imagine 7 million or whatever the claim is.. and evolutionists say they believe in logic? and laugh and mock christians? without bias it should actually be the other way around, but again its choice. which is why there will be no excuses in the end. Salvation is completly free, unearnable, take it while you can, and ask for it! everyone has all the so called answers but nobody asks bothers to ask Him! seriously i probably sin more than all of you put together, if you understood God you would realise its not about what youve done or do its about what hes done for you, life is good, breathing, eating, drinking, relationships, its an amazing gift. perhaps do a story on the proven human fossilized finger found in the same waterbed inside a dinosaur footprint!? Luke — Thanks for commenting on The GeoChristian. The back is wrong, the tail is wrong, the legs are wrong, the neck is wrong, the head is wrong. The Bible has taught me many things, but it says nothing about dinosaurs in general or specifically about Stegosaurus. I trust in Jesus alone for my salvation. Is that not enough? Are you saying old-Earth Christians aren’t real Christians? Are you adding something to the gospel? 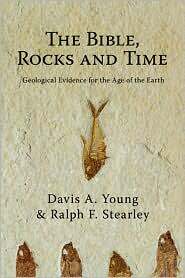 I have read a lot of young-Earth creationist literature, but haven’t seen this one. This article is a bit of a comical joke of desperation to hang on to ones’ seemingly evolutionary, deep time views. I can’t even believe some of the lame excuses it presents to deny the obvious. That image is absolutely of some dinosaur. Who gives a crud if it isn’t a stegosaurus? You have to be religiously devout against the “dinos with humans” view to deny it’s some sort of dino. A child would recognize it right away. Hitch — Thanks for visiting GeoChristian.com. You said that “a child would recognize it right away,” but of course I disagree, and it is not because I’m in a state of desperation. The head is wrong for a Stegosaurus, the tail is wrong for a Stegosaurus, the legs are wrong for a stegosaurus, the neck is wrong for a Stegosaurus, and the back is wrong for a Stegosaurus, so it probably is not a Stegosaurus or any other dinosaur.